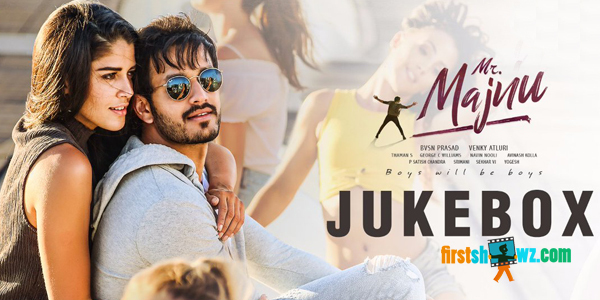 Listen to Mr Majnu Audio Songs featuring Akhil Akkineni, Nidhhi Agerwal in lead roles. This film is directed by Venky Atluri and produced by BVSN Prasad on Sri Venkateswara Cine Chitra LLP banner. S Thaman composes tunes.